Persimmons and lady apples are two of my favorite winter fruits. 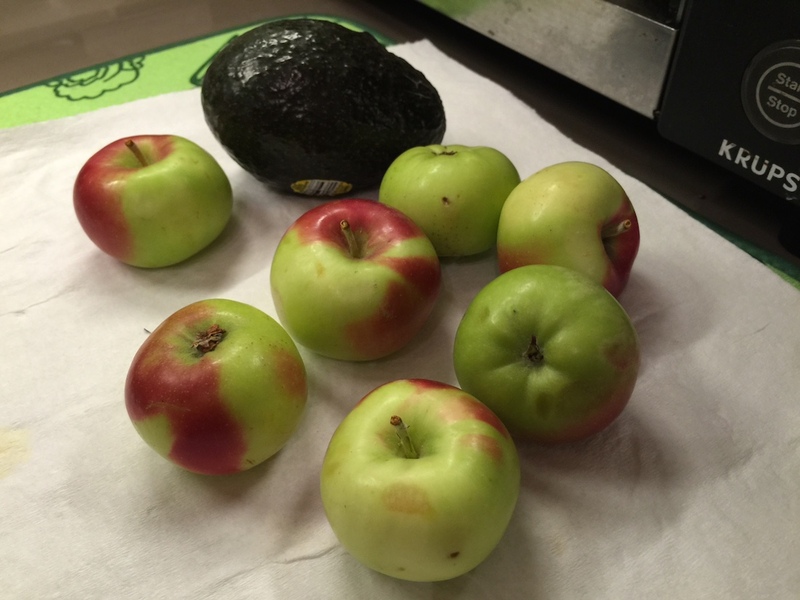 For those of you who are not familiar, lady apples are little apples that have a less tart flavor, and less crisp texture than traditional apples. Persimmons on the other hand, have a texture similar to peach, but have a very spicy flavor. 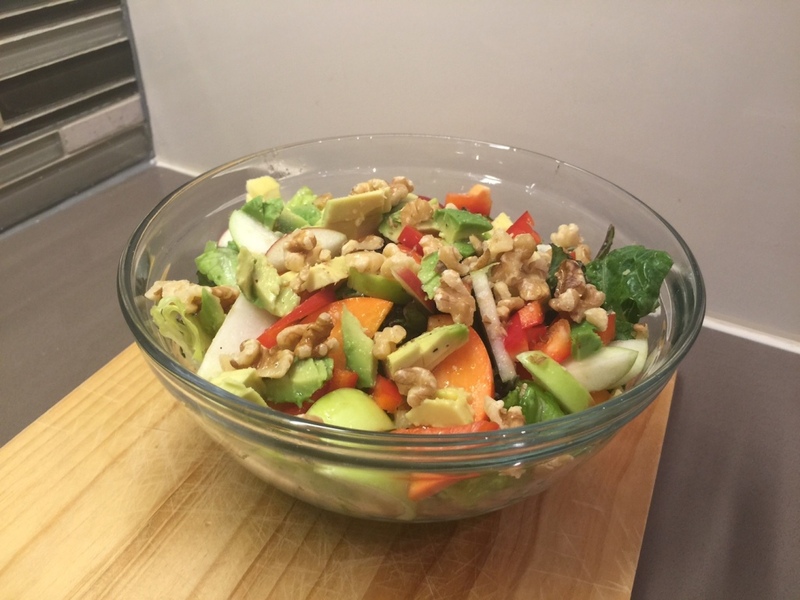 These fruits go great in a green salad along with a citrus dressing. 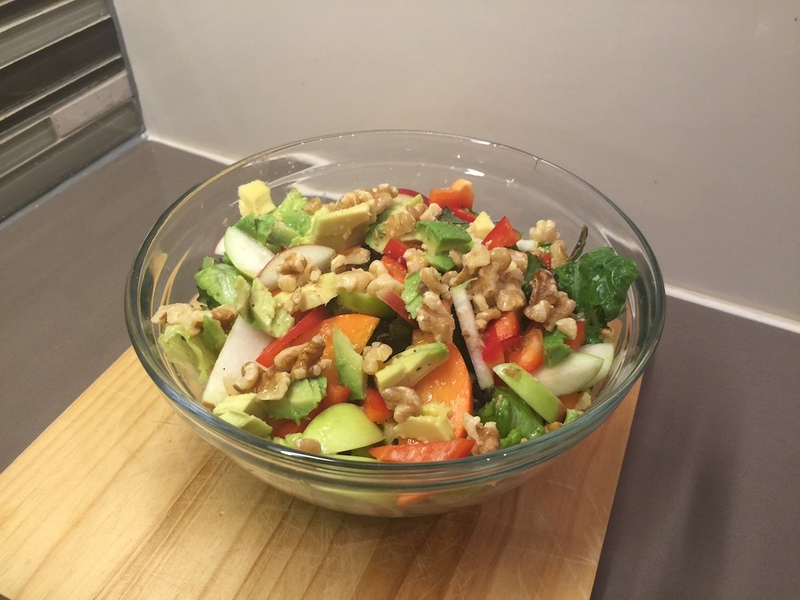 I used a combination of romaine and arugula, then added walnuts, avocado, and red bell peppers. The flavors all go really well together. 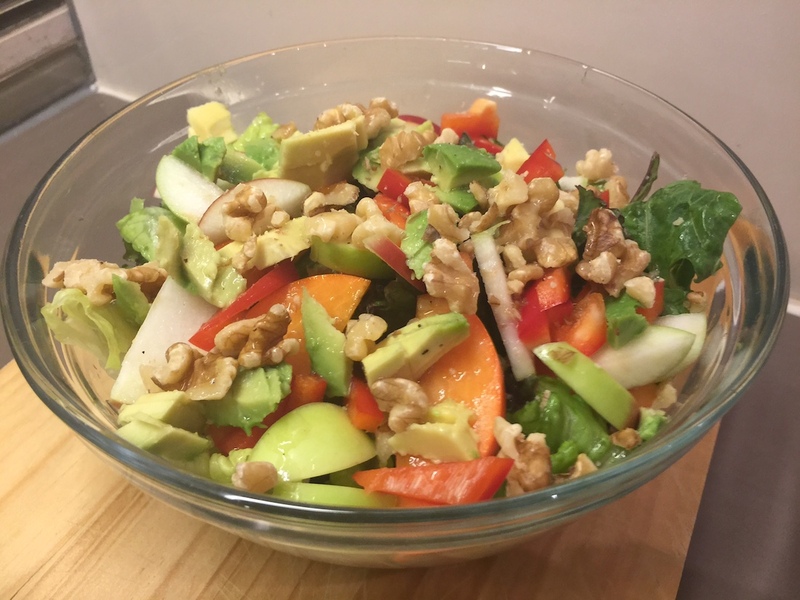 Seriously, this salad is so fresh and delicious, and pairs great with a savory side like a spicy celery soup. 1. 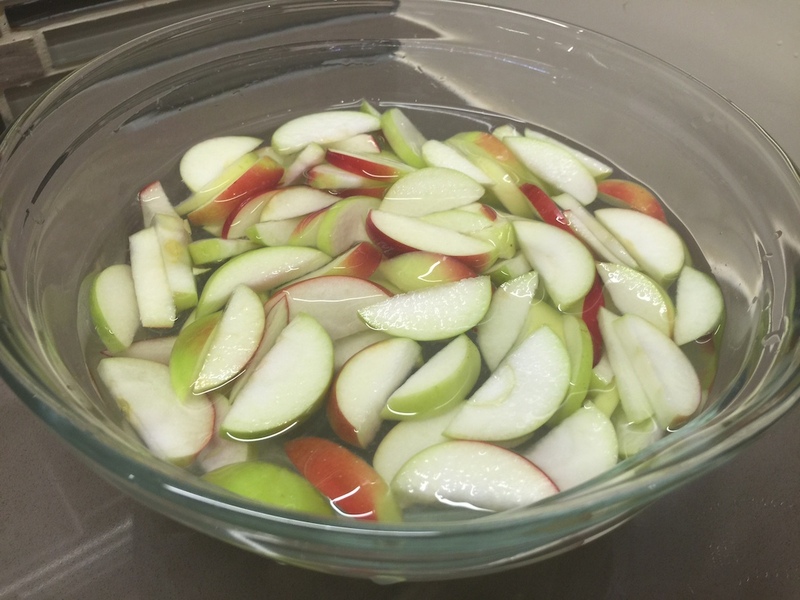 I like to start by prepping my apples so that they can soak in lemon water while I make the vinaigrette. 2. 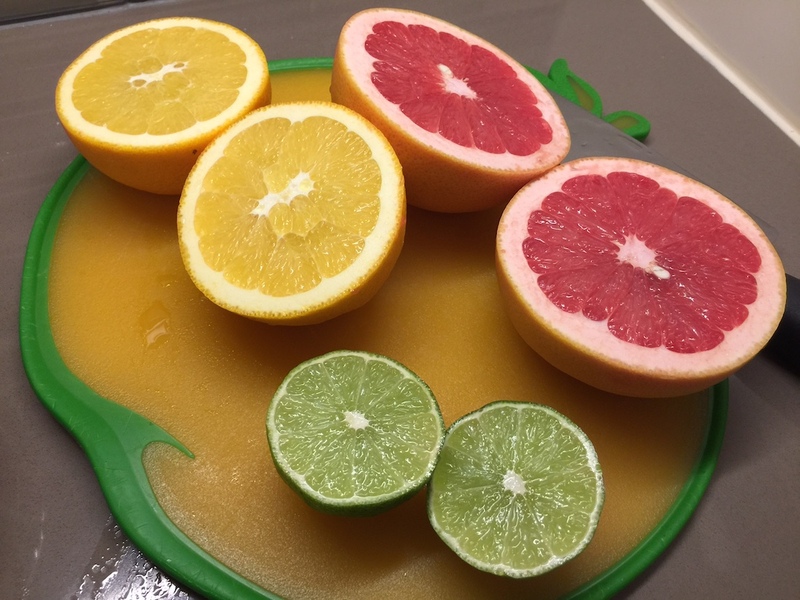 Squeeze the juice of a grapefruit, an orange, and a lime through a strainer. 3. 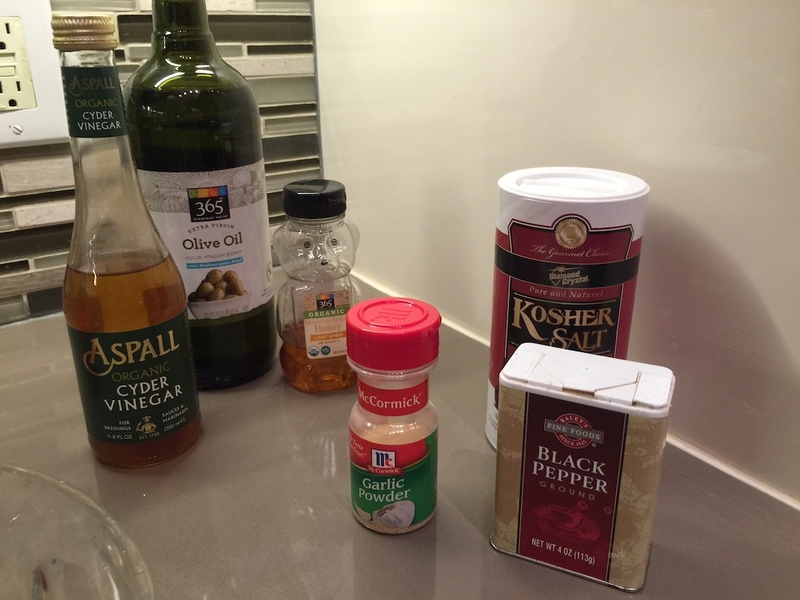 Add tablespoons of apple cider vinegar and honey, then season with salt, pepper, and garlic powder. 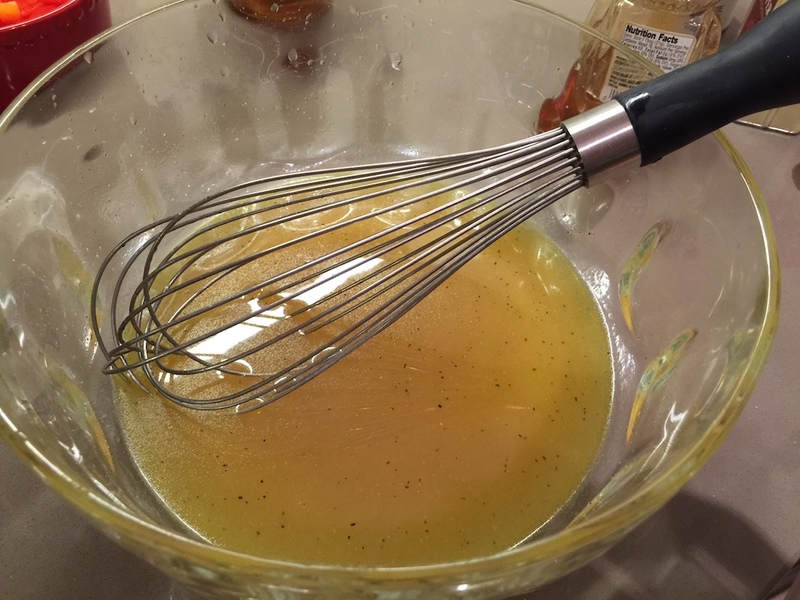 Slowly add 2 to 3 tablespoons of olive oil while whisking. 4. Toss greens with vinaigrette, then top with remaining salad ingredients.